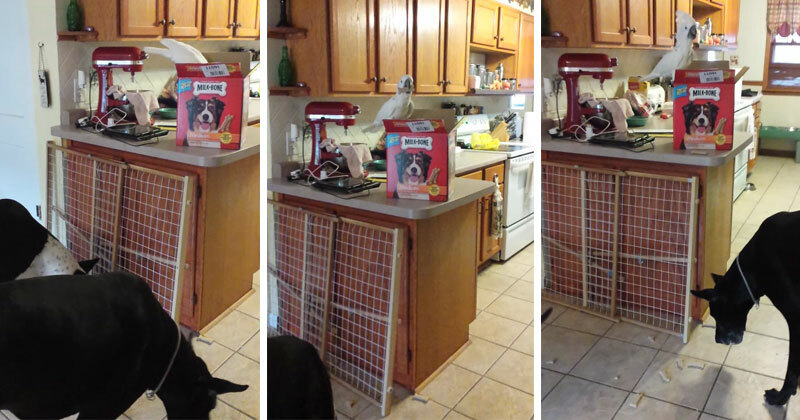 Watch Spike, an umbrella cockatoo, feed two Great Danes biscuits from a box of treats on the kitchen counter. You can’t make this stuff up! Teamwork baby!